Ever since German rocket scientists developed the world’s first ballistic missile in the V-2 rocket that rained down destruction on London during World War II, the world has grappled with the implications of the threat ballistic missiles pose to global security now since they can deliver nuclear warheads or biological and chemical agents. Today roughly 30 countries have operationally deployed ballistic missiles with the Iranian regime and North Korea leading the pack in missile test flights. Images of missiles racing skyward in massive flaming plumes have become standard programming on television channels beamed from Tehran and Pyongyang. Beyond their propaganda value, ballistic missiles are a serious security threat to all nations because of their ability to leave the atmosphere, travel vast distances in a short amount of time and deliver their payload without a serious chance of being intercepted. The threat North Korea poses to its Asian neighbors and the West Coast of the U.S. has pushed global instability to the brink over the past decade. 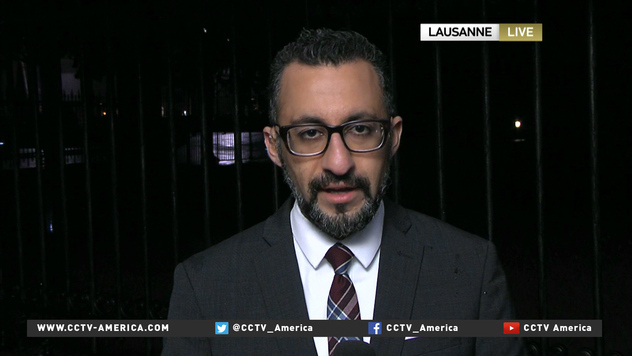 A similar crash program by the Iranian regime to develop its own ballistic missile fleet based on North Korean designs has brought the Gulf region to a similar head. The deeply flawed nuclear deal negotiated with the Iranian regime two years ago neglected to make ballistic missiles part of the restrictions sought by the U.S. and its allies. Many reasons have been given by negotiators and the Obama administration as to why such an allowance was given to the mullahs in Tehran. The results have been disastrous since it essentially gave them a free pass to develop a missile capability that prior to the nuclear deal was nascent at best. The fact that the nuclear agreement also funneled billions of dollars in fresh capital to the regime to provide it with the funds necessary to scale up its missile construction on a national scale. 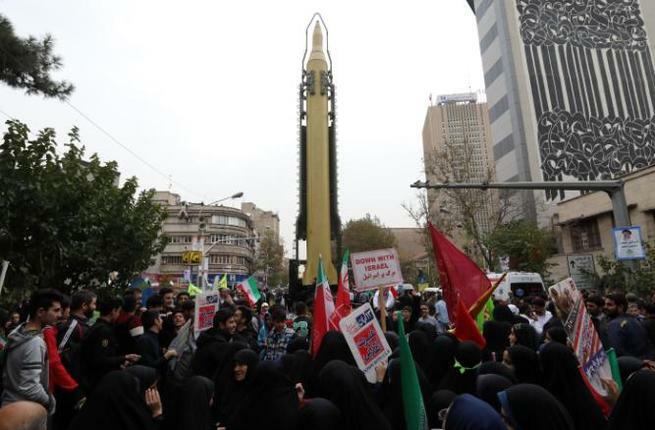 It is not coincidental that after the nuclear deal the world soon saw larger and more powerful missiles launch from sites throughout Iran in displays that the mullahs were not shy about using as threats against their Sunni neighbors such as Saudi Arabia, as well as to the U.S. Ballistic missiles are also critical to any nuclear program since they are the only delivery system that can make good on any nation’s threats to strike at its enemies with near impunity. Now as the Trump administration has moved to decertify Iran’s participation in the nuclear agreement, the question of how to deal with the Iranian missile threat is moving front and center with policymakers. The U.S. House of Representatives voted nearly unanimously recently for new sanctions on Iranian regime’s ballistic missile program, part of an effort to clamp down on Tehran. The vote was 423 to two for the “Iran Ballistic Missiles and International Sanctions Enforcement Act.” Among other things, it calls on the U.S. president to report to Congress on the Iranian and international supply chain for Iran’s ballistic missile program and to impose sanctions on Iranian government or foreign entities that support it, according to Reuters. The House passed three other Iran-related measures last week, including new sanctions on Lebanon’s Iranian regime-backed Hezbollah militia and a resolution urging the European Union to designate Hezbollah as a terrorist organization. The moves underscore the U.S. resolve to confront the Iranian regime on a broader set of issues than the Obama administration addressed during nuclear talks. It has become abundantly clear that by not addressing Iranian actions on a range of issues such as support of terrorism, ballistic missiles and human rights, the mullahs essentially acted with the assurance they would be free of any international repercussions. 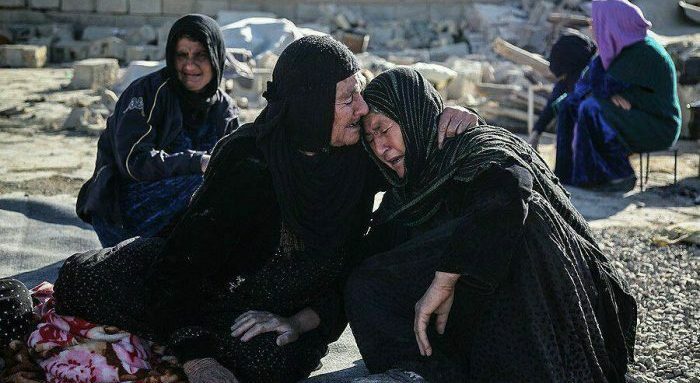 They decision to wade into the Syrian civil war in support of the Assad regime is the centerpiece example of that calculus; even after Assad brutally used chemical weapons on his own people, there was no consequence for that heinous act, only emboldening the mullahs in Tehran. But now the stage is set for confrontation with Iran as the regime’s leadership has planted a proverbial flag in the ground over its ballistic missile program. 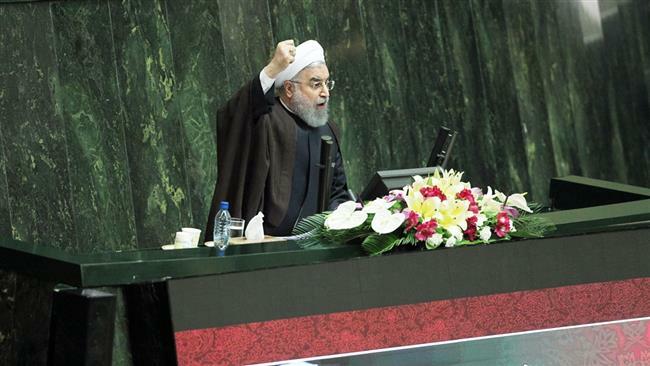 Regime leader Hassan Rouhani said Sunday, after the House of Representatives approved its missile sanctions legislation in a speech carried on nationwide television, that no international agreements prohibit the development of non-nuclear weapons such as ballistic missiles, and that Iran has a right to produce them for its own defense. What is quickly shaping up is a test of wills between the Trump administration and the mullahs not only over the fate of ballistic missiles, but over the larger question of whether or not the U.S. will be able to rein in Iranian excesses moving forward. 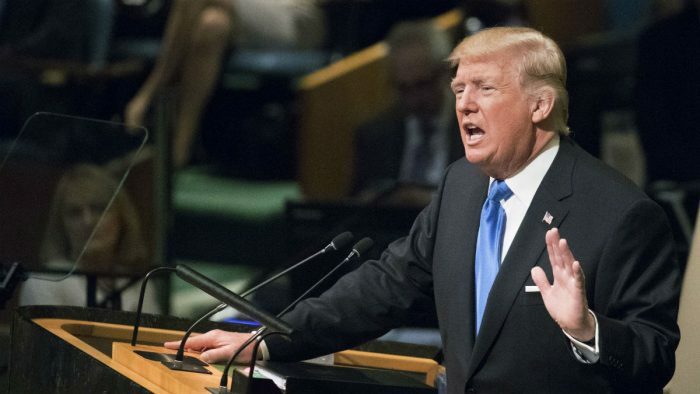 For President Trump, the more strategic issue facing him is how to curb Iranian regime’s influence in places such as Syria, Iraq, Yemen and Afghanistan and hold the line against the spread of its radicalized Islamic religion. In this regard, the battle over the nuclear deal and ballistic missiles are inextricably linked together and any future scenario of resolving them will most likely have to be done together. This problem is precisely what experts had warned about two years ago when the ill-fated nuclear agreement was being negotiated in the first place. 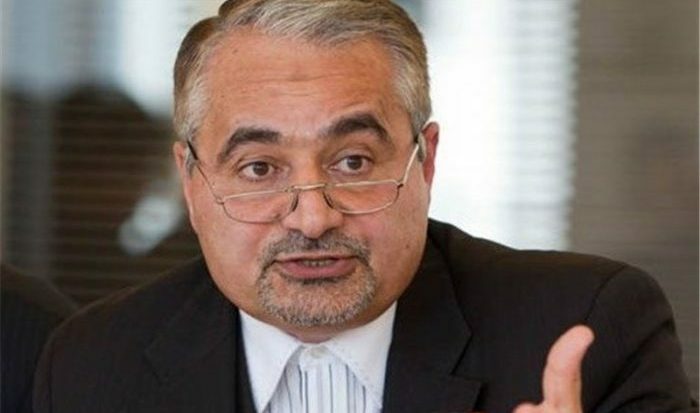 Iranian dissidents and groups such as the National Council of Resistance of Iran warned of the regime’s duplicity and actively countered the false promises made by Iran lobby supporters such as the National Iranian American Council. Ultimately, the real tests facing the Trump administration and U.S. lawmakers are only now being confronted. We hope they choose a different path from the one charted earlier. Secretary of State Rex Tillerson dived deep into Middle East politics at a time where the threat from ISIS was diminishing after battlefield victories against the Islamic extremists. His whirlwind stops in Saudi Arabia, Afghanistan and Iraq were designed to hold the line in a post-ISIS world against the encroaching influence of the Iranian regime. In Saudi Arabia, Secretary Tillerson urged Saudi Arabia to counter Iran’s influence in Iraq by strengthening its ties with Baghdad in a meeting with King Salman of Saudi Arabia and Iraqi prime minister Haider al-Abadi. His meeting included a call for Iranian-backed Shiite militias fighting in Iraq to leave and go back to their homes. Tillerson’s focus on these militias, known as Popular Mobilization Forces, he was taking aim at the growing influence of the Iranian regime’s Revolutionary Guard Corps and its Quds Force which has operated in Iraq in an increasingly visible way during the war against ISIS. During the conflict, Tehran has sought to exert more influence in Iraq through participation in Iraq’s political process; a fraught process that nearly collapsed Iraq when former prime minister Nouri al-Maliki acted on Iranian wishes in expelling Sunni power sharing in his government, sparking a new round of sectarian conflict and empowering ISIS with the collapse of Mosul. 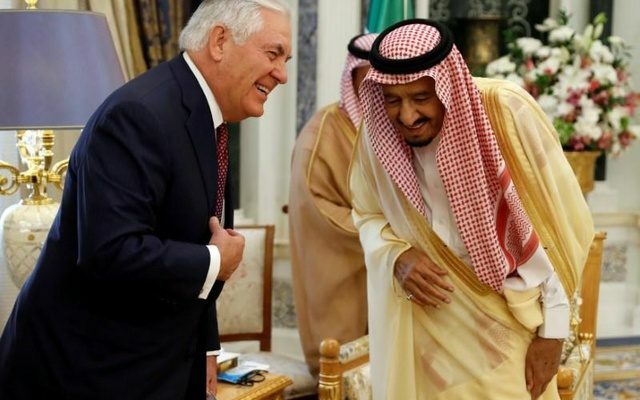 But Tillerson’s visit highlighted a new initiative to counter Iranian influence as Saudi Arabia has taken several steps to deepen ties between Riyadh and Baghdad. Saudi Arabia has reopened its border with Iraq for the first time in decades and restarted direct flights between Riyadh and Baghdad. Washington is hoping the political and economic ties will deepen through the newly minted Saudi-Iraq Coordination Council, reported the Wall Street Journal. “We believe this will in some ways counter some of the unproductive influences of Iran inside of Iraq,” Tillerson said during a news conference in Riyadh. He urged Saudi Arabia’s involvement in Iraq’s reconstruction, as Baghdad looks to rebuild the country after a three-year war against Islamic State that destroyed cities across the nation, and called economic revitalization vital to keeping a hard-won peace. The full-court press to normalize relations also goes a long way to counter persistent arguments made by the Iran lobby and other regime supporters that U.S. policy in the Middle East during the Trump administration was only reactionary and intent on starting a new conflict with Iran. The diplomatic efforts led by Tillerson represent another watershed moment for President Trump in the Middle East. His earlier announcement to not certify the Iranian regime in compliance with the Iran nuclear deal to trigger Congressional review more correctly puts the question of how to address Iran’s larger militant actions such as development of ballistic missiles in the arena of public debate where President Barack Obama had previously sought to steer clear of when negotiating the agreement originally. Iranian regime advocates such as the National Iranian American Council had laboriously tried to shield the mullahs in Tehran from facing questions about Iran’s dismal human rights record or support for terrorist groups during the original talks two years ago, but in the intervening time the mullahs have stepped up their efforts in swinging the Syrian civil war over to the Assad regime, as well as rapidly build and deploy powerful new ballistic missiles. 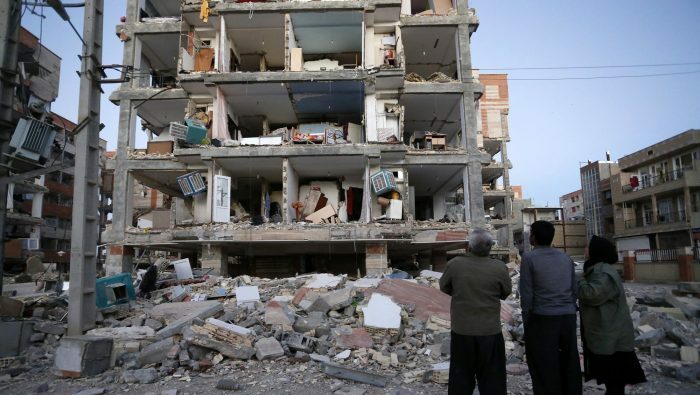 The wreckage left behind by Iranian regime has solidified the decision-making process in the Trump administration to focus on containment and rolling back Iranian regime’s advances more aggressively than the policy of appeasement the Obama administration followed. Offer more military and intelligence support for U.S. allies in confrontations with Iranian regime forces and their proxies in hot spots such as Syria, Iraq, Afghanistan, Yemen, Qatar and Saudi Arabia. More importantly, the U.S. is again openly warning companies from doing business with Iranian regime’s “Revolutionary Guard Corps” (IRGC) as it considers broader terrorist designations against the main tool of the mullahs. The U.S. last week announced tough new sanctions against the IRGC because of its support for terrorism, effectively excluding it from the US financial system. Companies doing business with the group also risk penalties. The push for expanded sanctions against the IRGC recalled the effectiveness of broad economic sanctions placed by the former administrations of presidents Bill Clinton and George W. Bush that put a stranglehold on the Iranian regime’s economy and brought the mullahs to the bargaining table in the first place. Unlike the Obama administration, President Trump seems intent on not replaying the mistake of appeasement made by his predecessor and instead forge a new deal that finally brings Iranian regime’s extremism to heel. Trita Parsi of the National Iranian American Council has been a consistent and vocal supporter of the Iranian regime and its claims to want a pathway to peace. The lunacy of his comments has been laid bare repeatedly over the last two years since the Iran nuclear deal was signed and Iran plunged deeper into wars in Syria and Yemen. Over the past two years the mullahs in Tehran have focused their efforts at saving the Assad regime in Syria and putting enormous pressure on Saudi Arabia through the Houthi rebellion in Yemen and attempting to destabilize the Gulf states with the smuggling of weapons and explosives. They have also sought to expand Iran’s power through a rapid development of its ballistic missile program to increase the range and payload capacity to send an unmistakable threat to Europe, Asia and throughout the Middle East. So far, the Iranian regime has been careful to focus its efforts and its most militant actions against traditional rivals such as Saudi Arabia or to keep allies in place such as Assad or continue cracking down on internal political dissent, but a new trend has emerged lately as Iran directs its provocations directly at the U.S.
Over the past few months, Iran has steadily been ratcheting up the pace and frequency of actions aimed directly at the U.S. and its forces, including running its warships at U.S. Navy ships and using drone aircraft to buzz U.S. forces. It has also loosened the reins on its militias in Syria to provoke U.S. forces there. In the past, Iran’s Quds Force arm of its Revolutionary Guard Corps took a direct role in supplying IEDs to Shiite militia fighting in Iraq and targeting U.S. personnel. 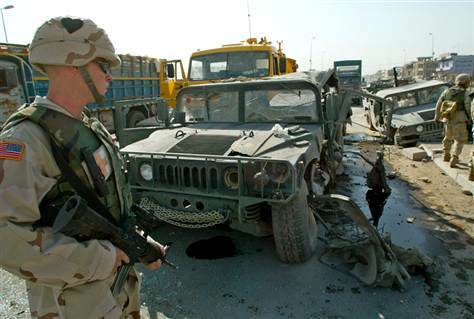 Estimates of over 1,000 American casualties were blamed on explosive devices manufactured by Quds Force personnel in Iran and Iraq, 500 Americans killed alone during Operation Iraqi Freedom. Iran most recently has been flying its drone aircraft dangerously close to U.S. ships in international waters, including close calls during flight operations by the USS Nimitz battle carrier. There have now been 14 circumstances in 2017 in which unsafe interactions between the U.S. and Iranian maritime forces have occurred, the Navy said. The increase in direct confrontations with the U.S. mirror the same tactics used by North Korea in its own ramp up in its missile program; leading many analysts to believe both rogue regimes are sharing the same playbook. What is clear though is that these actions are not the type of actions a state interested in peace undertake as the NIAC has consistently claimed. The mullahs have essentially shed all pretense at showing the world a moderate veil and instead are flexing their muscle in a blatant attempt to trying to bully and strongarm their neighbors. Coupled with the increase in missile testing comes news that Iranian mullahs are preparing send a naval flotilla to the Atlantic Ocean. 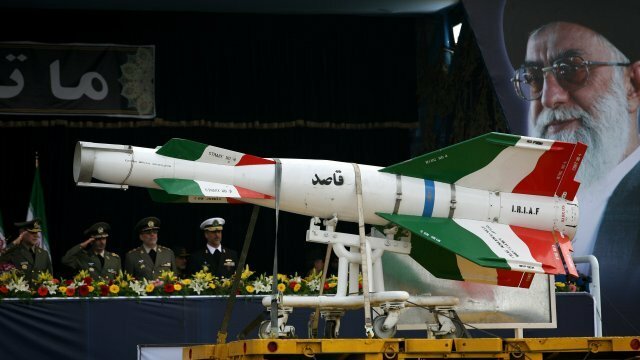 This follows a move by the Iranian parliament to allocate an additional $609 million for its missile program and support of increased terror and proxy operations through the Quds Force. “No military official in the world thought that we can go round Africa to the Atlantic Ocean through the Suez Canal but we did it as we had declared that we would go to the Atlantic and its Western waters,” Iranian Navy Commander Rear Admiral Habibollah Sayyari was quoted as saying over the weekend. “We moved into the Atlantic and will go to its Western waters in the near future,” Sayyari said. Iranian regime’s increasingly hostile behavior also follows a little-noticed United Nations report disclosing that Iran has repeatedly violated international accords banning ballistic missile work. Lawmakers in the U.S. Congress and some policy experts also believe that Iranian regime has been violating some provisions in the nuclear agreement governing nuclear-related materials, according to the Washington Free Beacon. “Little-noticed biannual reporting by the UN Secretary General alleges that Iran is repeatedly violating these non-nuclear provisions,” Iran Watch, a nuclear watchdog group, reported on Monday. Washington Free Beacon wrote that Iranian regime’s recent behavior shows the regime has not moderated since the nuclear deal was implemented. The Obama administration sold the deal in part on promises that it could help bring Tehran into the community of nations. Washington Free Beacon is right about how wrong the promises were made by the Iran lobby and Obama administration. We only hope it’s not too late to stop the mullahs and eventually start the process of regime change.